*Assumes a commission of 3% of the first $100,000 and 1.5% on the balance of the sale price, to a maximum of 25% of the commission we tearn representing you buying your home. Not applicable for agent or relocation referrals. As a seller, we have passed on our overhead savings to you in the form of lower commission options. We can save you thousands compared to typical commission rates without compromising the high level of service you want from a real estate agent because we have created highly efficient systems by utilitizing technology. Lime Green Realty is not the same as a “discount” real estate office. We do not discount the buyer's agent commission, rather, we take the reduction in our listing comission. We are one of the only real estate agencies in all of Alberta that offers lower commissions from a top tier listing agent. Your property will be listed on mls.ca & our listings receive full participation from every other agent from all the traditional real estate offices in Central Alberta. 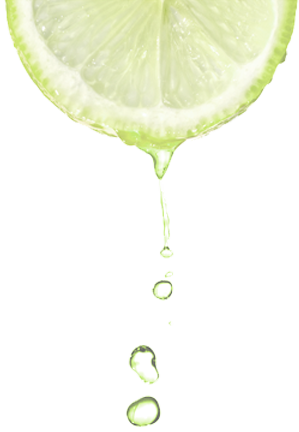 Lime Green Realty was the breath of fresh air we were looking for in the realty business. They helped us make a good buying decision with their expertise, something you do not get in a private sale. We can't say enough good things about the Lime Green Realty team! It was the first time we've sold a home so had many questions but Susan made sure to answer all of them and ensure we were confident about the selling process. First of all, we want to thank you for your knowledge and informative market analysis we needed to sell our home. You provided the tools we needed to prepare our home and your pictures did say a thousand words. Thank you for doing everything to help us sell. We can't say enough about your company. I was impressed that you came to us with all of the trend information to explain where the market was heading. After having our house listed with another agent for 3 months and it did not sell, we decided to contact Lime Green Realty. Right from the start Lime Green Realty was professional, friendly and their agents are extremely knowledgable of the current market. Buying or Selling, we have the best of both worlds. If you are buying, we can help you buy absolutely any home for sale in Red Deer and Central Alberta, including properties listed with other brokerages and for sale by owner listings. Whether you would like to purchase a starter home in Red Deer, a townhouse in Blackfalds, a half duplex in Innisfail or a million dollar acreage in Red Deer County, we can represent you with the purchase. We offer a free overview of real estate in Red Deer and Central Alberta, giving you a summary of all the options for any neighbourhood. Of course, any buyer who completes a purchase with a Lime Green Realty agent benefits from receiving free cash on possession day! We can also help you sell your home or property in Red Deer and Central Alberta. We have listed all types of property for sale, including real estate properties in Red Deer, Blackfalds, Lacombe, Sylvan Lake, Penhold and Springbrook. We offer a free market assessment of your property, including staging tips and renovation do’s and don’ts. Using Lime Green Realty for your selling needs means full service with low commissions. Whether you're looking to buy or sell, we are ready to help. Give us a call or send us a text today to see how our services can benefit you. With services this great, people are bound to be talking. Find out what our past clients have to say.